We just found this video by The Young Punx for their tune “Rockall”… nice use of the UK weather forecast! The vid features The Might Boosh’s Mike Fielding. Never heard of ‘im. Opening bars kind of reminded us of Urban Hype’s “Trip to Trumpton” from back in the day. (Warning: may cause Acieeeed flashbacks). Oh, and the whole “weird happenings in a rural pub” thing called to mind this cracker for the Utah Saints’ Kate Bush-sampling “Something Good”. Go and watch that. Now. Update: The Young Punx “Rockall”, a remix by Krafty Kuts, on AM Soul records. And while we’re on the wevver, our all-time personal favourite would be Blur’s “This is a Low”. Sadly, Rockall doesn’t get a mention, but Malin Head does. Some great geetar work on this. 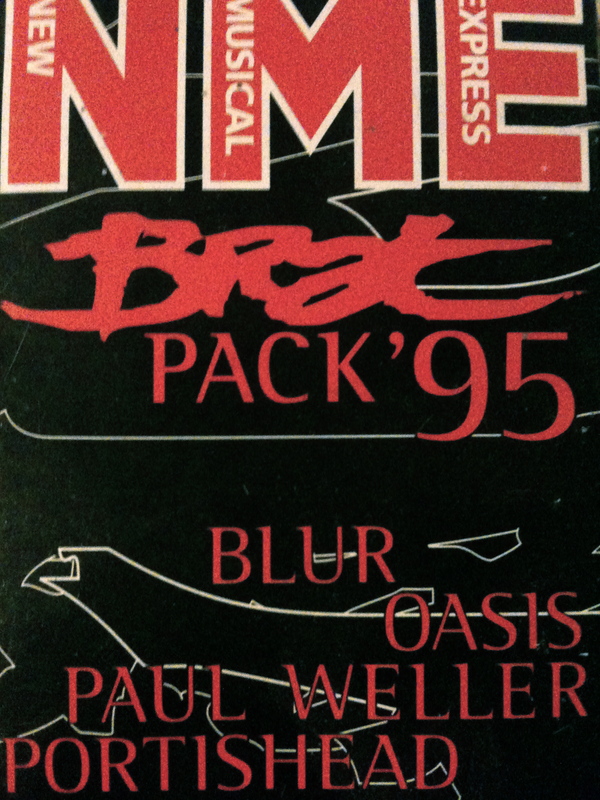 We’re stupidly proud of our own copy, courtesy of the NME’s free Brat Pack '95 promo cassette. Yes kids, a cassette tape! (And it was only when i dug this out to photograph it did i notice that “This is a Low”, and “Parklife”, were produced by Stephen Street. Must remember that bit o’ trivia).